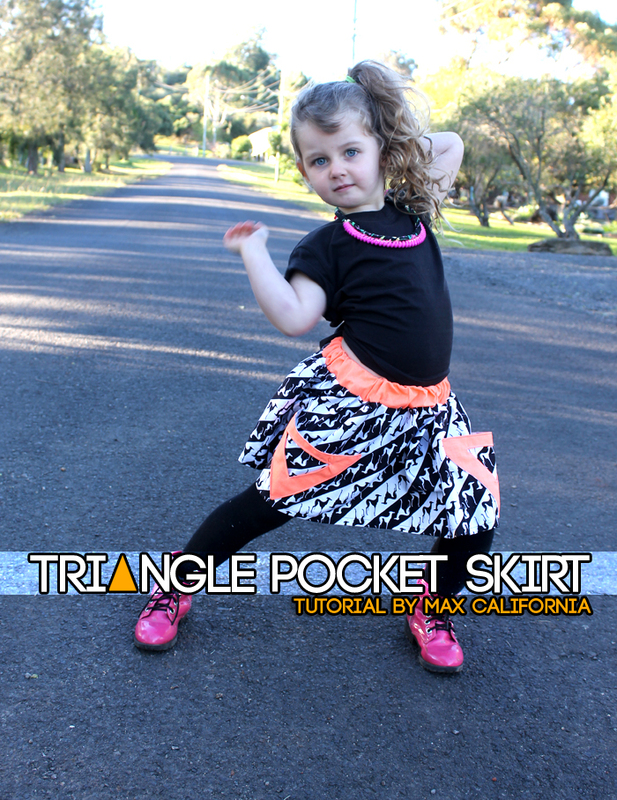 So today my offering is this fun little tutorial for an easy skirt with triangle pockets! There's pockets on the pockets too, also triangles, so it's like - triception. 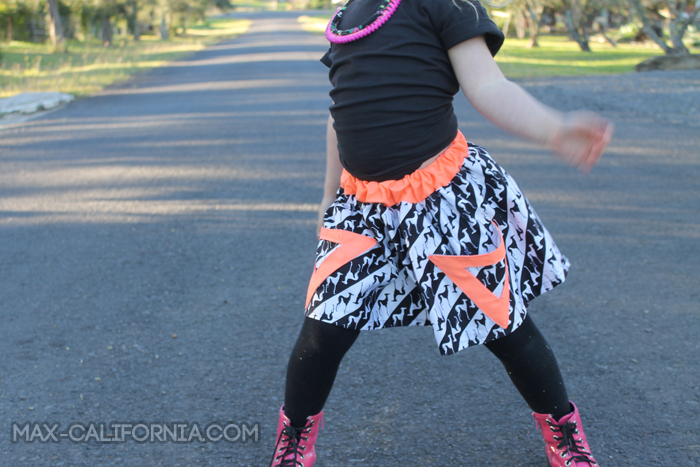 Eddie has been begging to put this skirt on since I made it, but I've learned the blogger's number one rule that if you want to take photos of it DO NOT LET the children wear it/touch it/breath near it until you have the shots. She's been very patient. 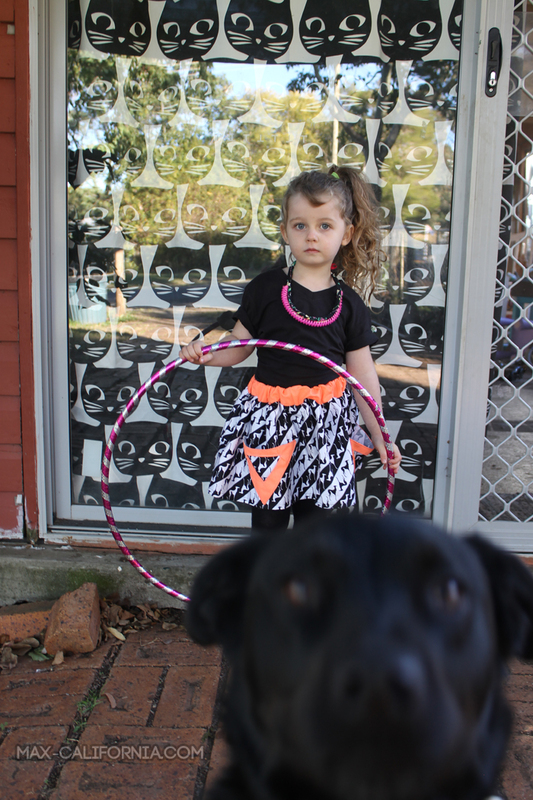 This skirt is pretty easy to whip up, honestly, and i'm 39 weeks pregnant so take my word for it okay? 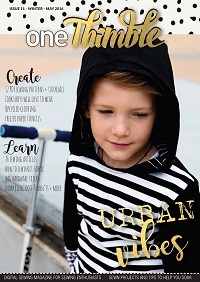 Want to learn how to make it? 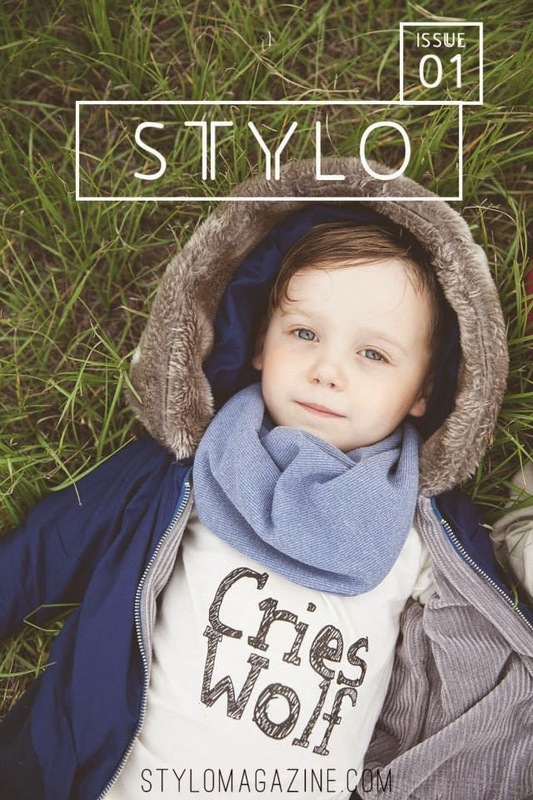 Here's the tutorial! The width of the skirt is just the width of the fabric, from selvage to selvage. Eddie is usually around a size 4 so the length of the skirt is 33cm which includes a 1cm hem and a 7cm folded-over waistband. I cut two rectangles out of my main fabric to those dimensions. 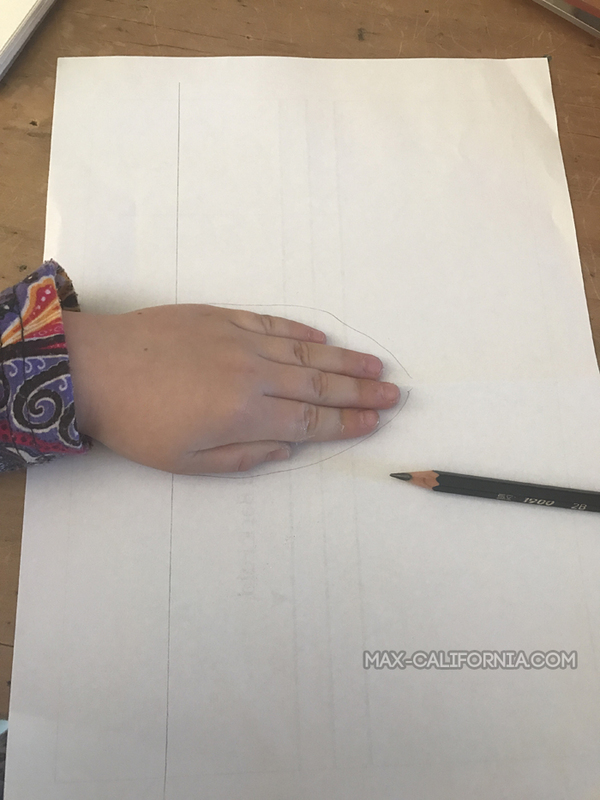 Tracing around your little's hand so that you have an idea of how big you want the pocket to be (or you could just eyeball it!) 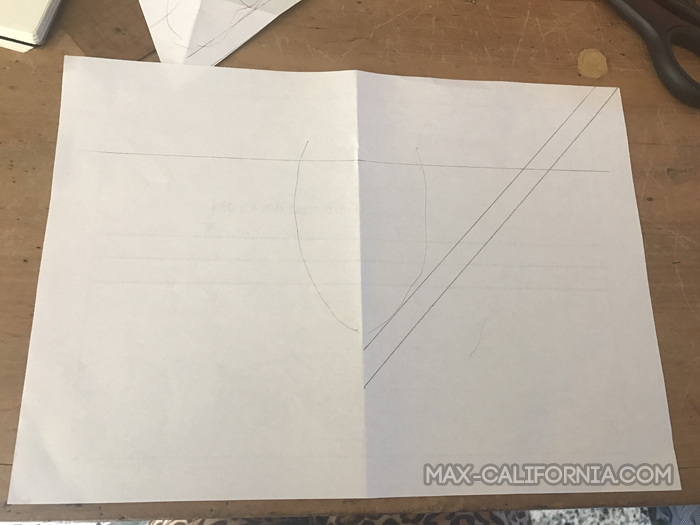 I made a triangle-shaped template on a piece of paper. I have the apex of the triangle pointing down toward the hem, but you could angle the pockets however you want! 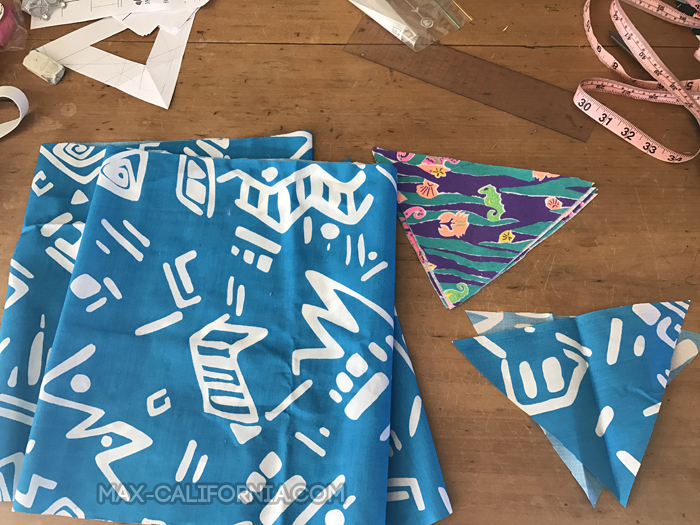 Cut out two triangles from the main fabric, and four from the contrast fabric! 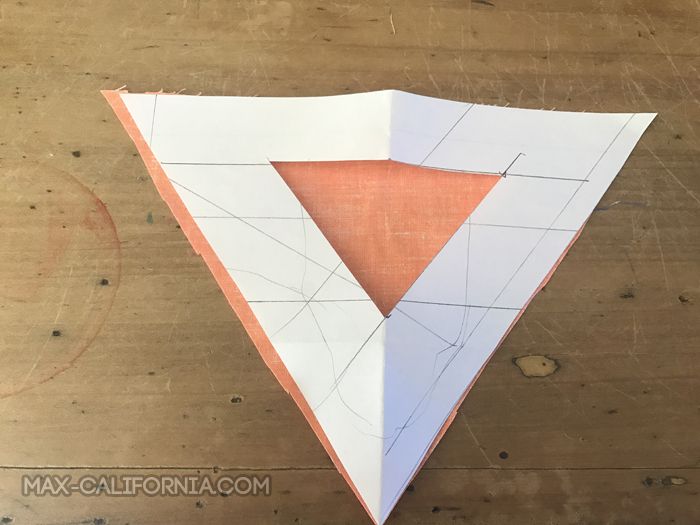 On the triangle template, i sketched out a smaller triangle for the cut-out/mini pocket. You can have this triangle going any direction you want as well. 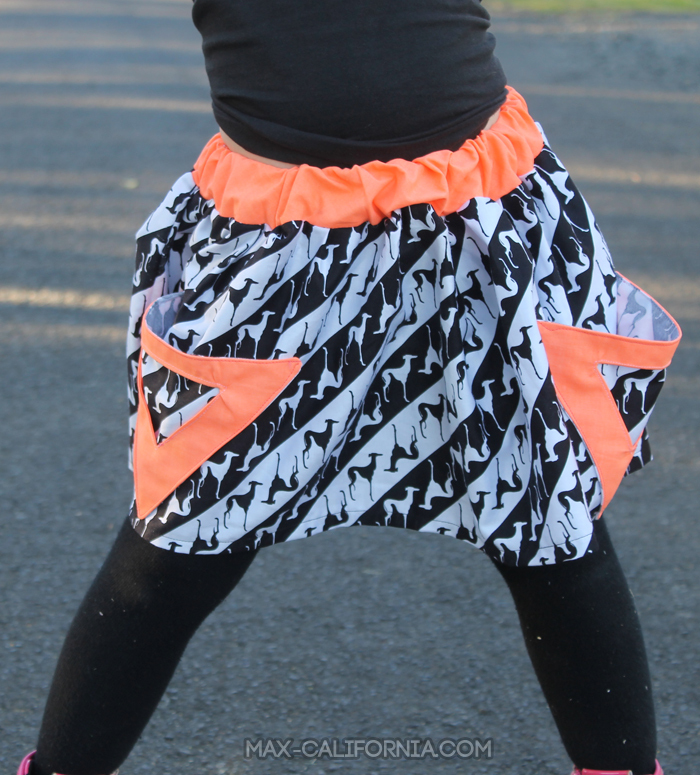 In the black and white skirt I have the triangle cut out going the same way as the pocket but for the blue skirt I flipped it (I also made the inner triangle a little bit smaller than my original size). 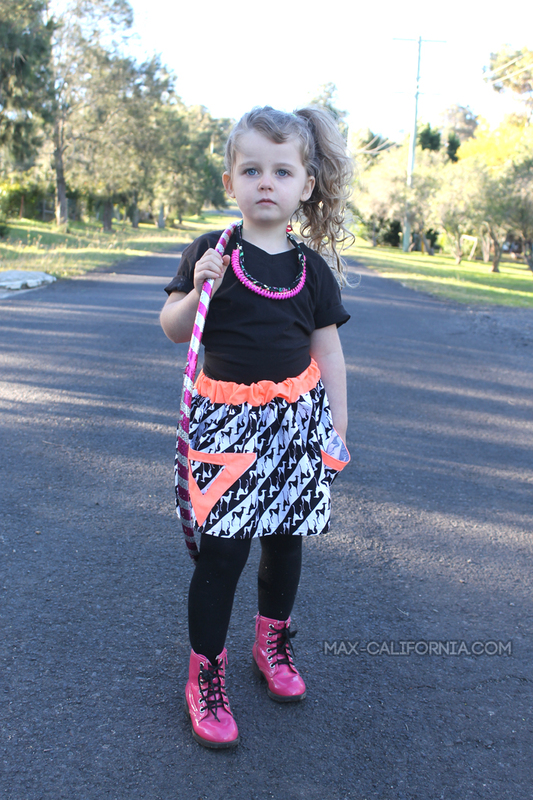 Trace the cut out triangle shape onto the wrong side of two of your contrast triangle pockets. 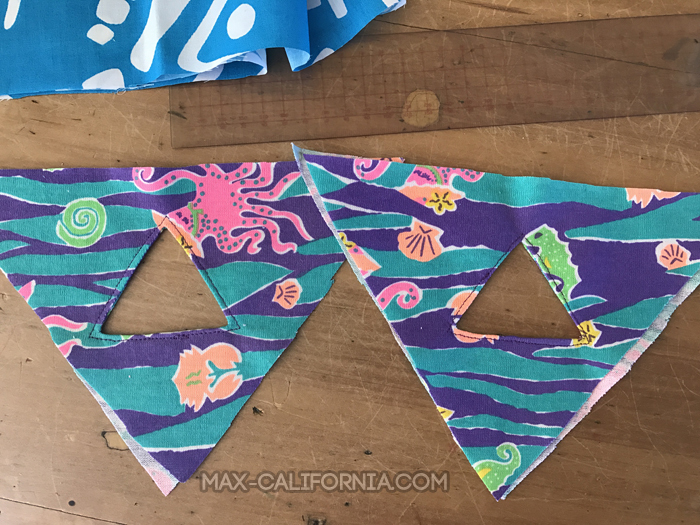 Place these over the top of the other two contrast triangle pieces (right sides together) and stitch around this triangle. 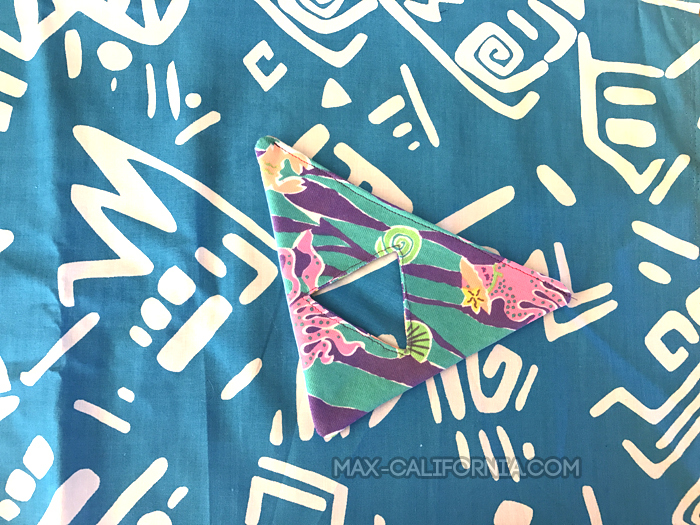 A handy hint is to start sewing along one of the straight edges of the triangle to reduce the bulk at the corners and make flipping it much easier. Cut out the center of the triangle and clip into the corners. Flip your pockets right side out and press so they're nice and flat and looking good. 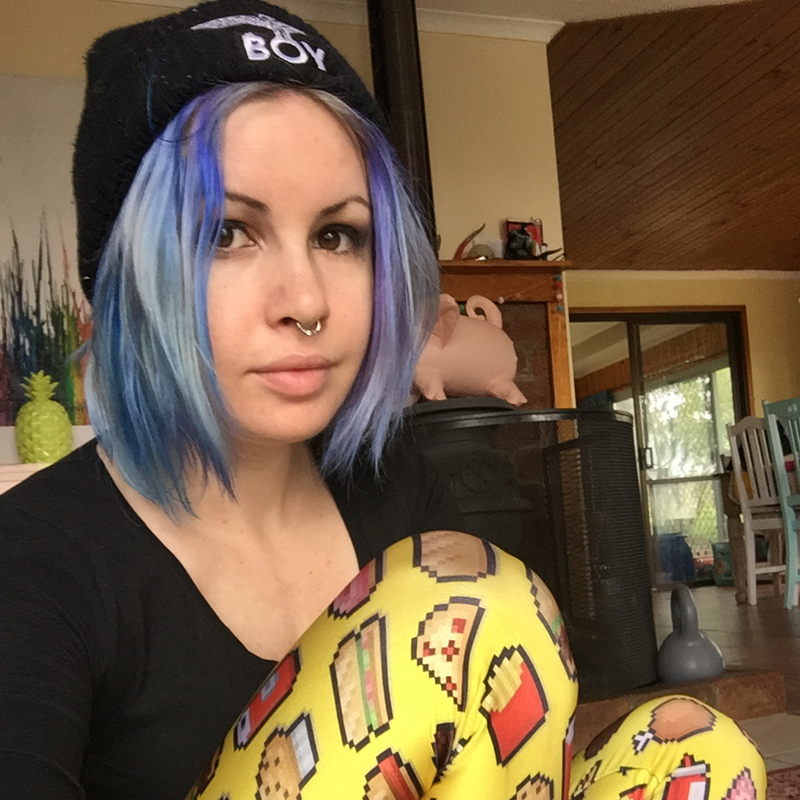 I'd recommend top-stitching around the cut out. 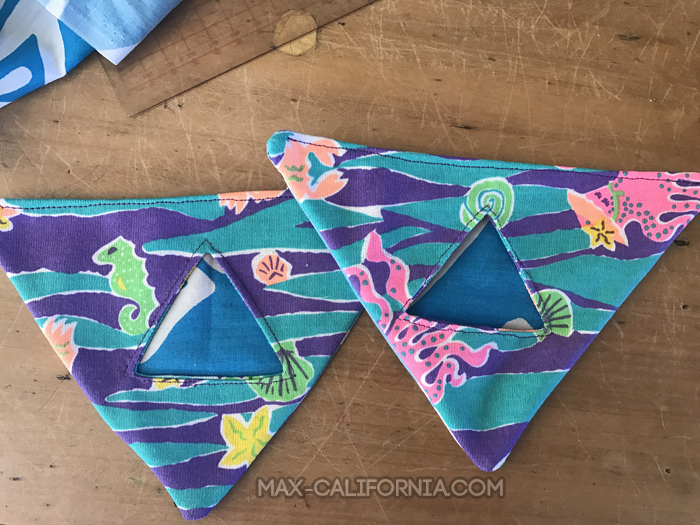 With the right side of the contrast pocket fronts against the wrong side of the main triangles stitch around the entire exterior of your triangles. Clip the corners and turn right sides out. Press and top stitch the top of the pocket. 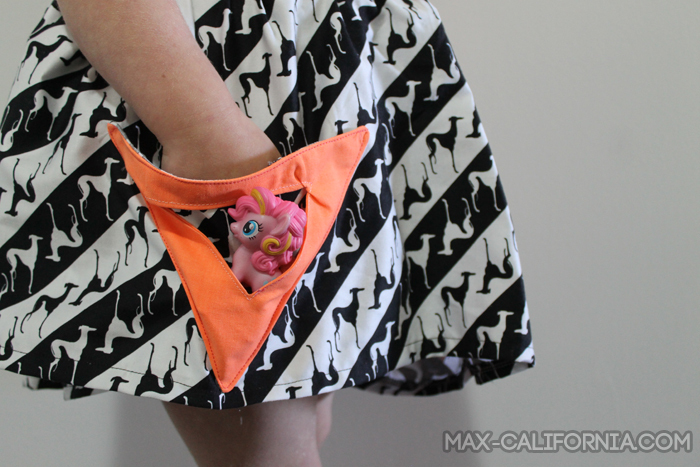 Attach the pockets to one of your skirt rectangles, wherever you would like to place them! 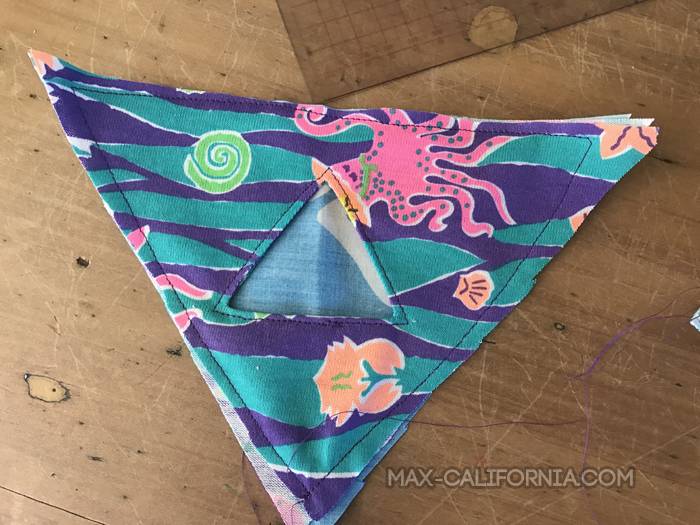 You're only going to need to stitch the two sides of the triangle, leaving the top open. 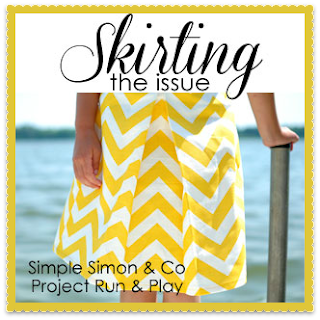 Place the other skirt rectangle over the pocketed one and stitch up the short sides which are now your sideseams. 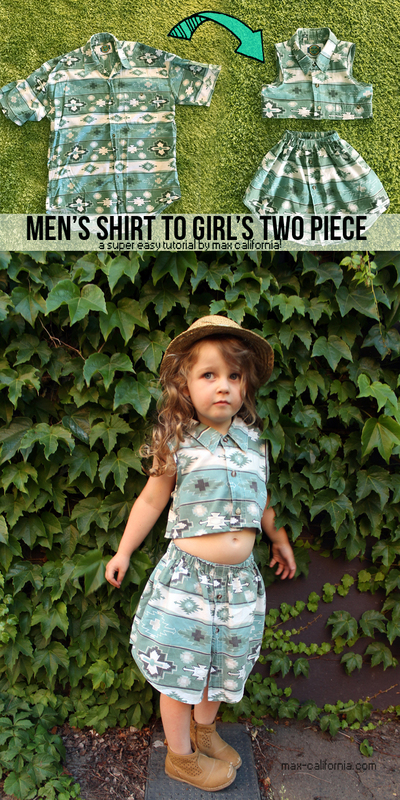 Hem the bottom and overlock the top. Cut some elastic to fit your child's waistband, you can use any width elastic you'd like but I like to use the inch-wide stuff with my waistbands. 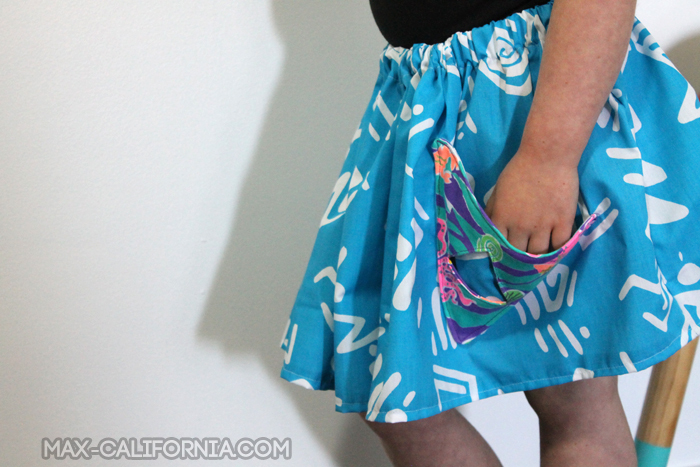 Sew it into a loop then pin it the inside of your skirt at the side seam, anchoring it with a few stitches to that it doesn't flip over inside the waistband when it's being worn. Fold over and pin the top edge of the skirt so it covers the elastic and gives you a bit of seam allowance too. Pin the opposite side of the elastic to the opposite side seam and then pin all around the waistband of the skirt so that it's even. 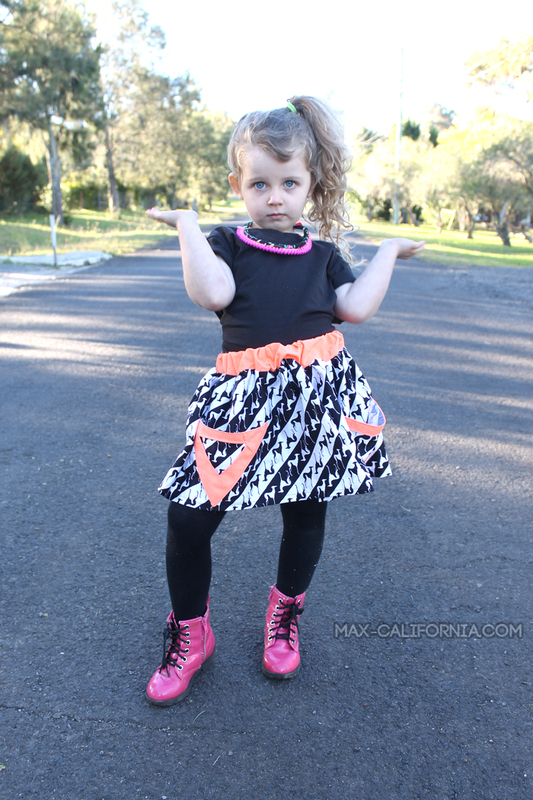 Stitch along your seam allowance! check out the rest of the skirting the issue project here! An adorable skirt, Ari. Love the triangle pockets.